Did I need to go to the thrift store on my lunch hour and buy more books? Well, probably not, but I did have fun! I found some great stuff this trip. I got the Lovely Bones book the other day for 40p, which was great since I’ve been looking for a copy for ages. Looks like you did good this time. Some of my favorites are books you’ve gotten from library sales or thrift shops. I make myself stay away from the Book Cellar until you and the girls come again. I have too…. many stacks to read now. Isn’t it fun? Oh I love bargain finds. The R.L Stine book brought back memories. I was obsessed with Point Horror as a child !!! 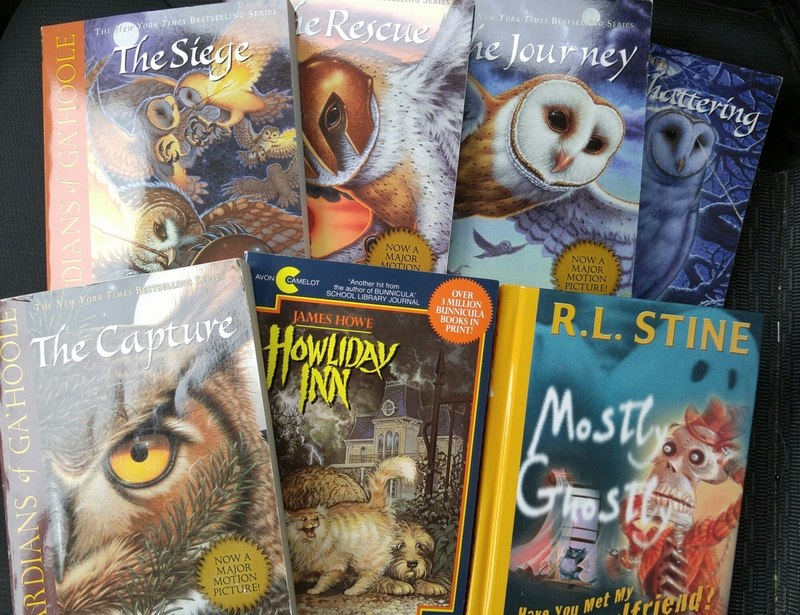 My oldest daughter LOVES R. L. Stine! Great finds ,congratulations. Enjoy your new books. I hadn’t thought of thrift shops for book buying either, I should check it out! 🙂 You got some real goodies! Yes – I got lucky this time! It is amazing how few John D MacDonald novels are still available outside second hand bookstores and Amazon. 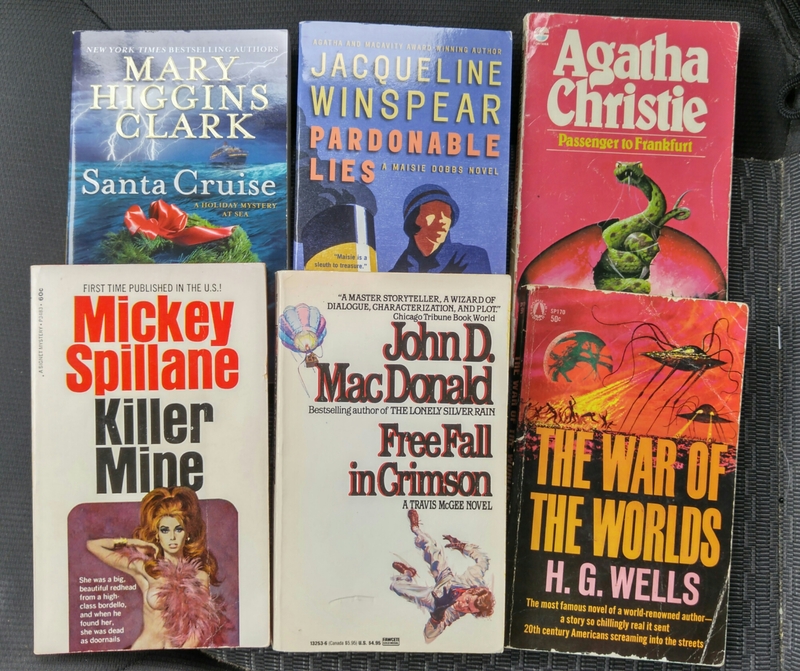 I always keep an eye out for John D MacDonald, Mickey Spillane, Fredric Brown, and Dashiell Hammett. Even though you can get some as reprints, I love the old covers. I never thought about thrift stores for book shopping but I should definitely do it! Some great finds! I hadn’t either until a friend told me that was where she did all of her book shopping! I might find nothing one time, but then I hit the jackpot the next time. That’s the thing with thrift stores and that’s why people love it so much! Fun, fun, fun! Don’t you just love the treasure trove that is your local thrift store? I went into a charity shop recently and came out with 5 books for £1.50! Definitely didn’t need them (and most were chick lit) but I’ve got a holiday coming up so that’s my excuse!